Add the final touch to any outfit with our stunning Faux Fur Flappers. Elegant and luxurious, they add a touch of glamour to any wearer. 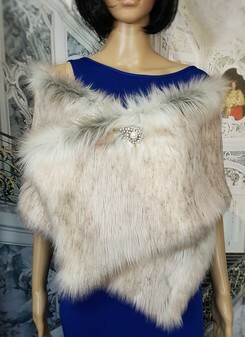 Wear with a broach (not supplied) as in the picture but can also be worn as stole - versatile and individual - a must have.